I have always loved Chance Glass and "Calypto" is a favourite pattern. 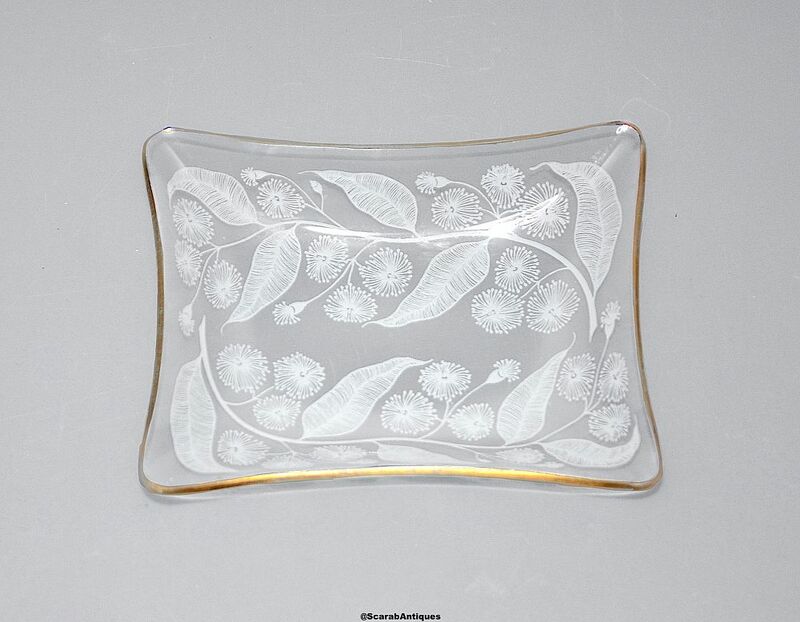 The rectangular shallow dish has gilded rims and the base has a white floral pattern known as "Calypto" which was designed by Michael Harris who went on to found the Mdina studio in Malta and The Isle of Wight studio. This is part of the Fiestaware range produced by Chance in the late 1950s - Calypto was designed c1959.